Brooklyn-based artist Stephen Powers brings his iconic graphic work to SFMOMA with Daymaker, a new site-specific commission for SFMOMA’s third-floor architecture and design gallery, which will be on view beginning May 18, 2019. 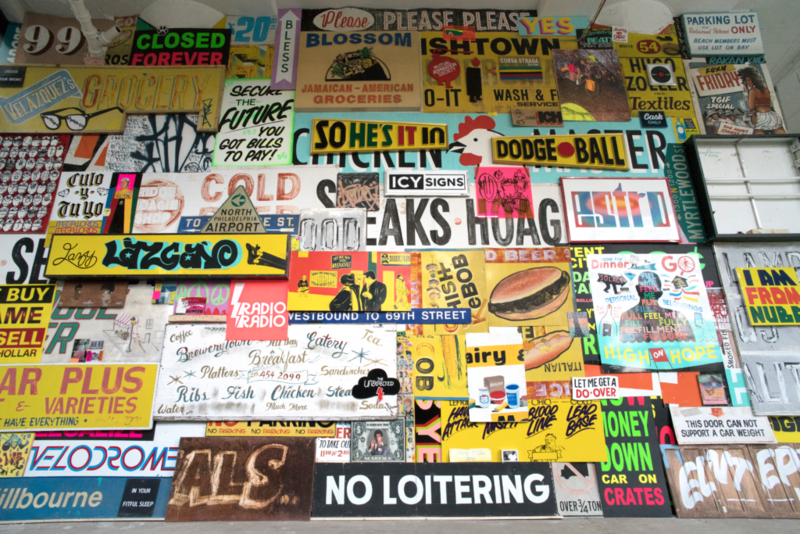 Powers, who began his art practice as a graffiti artist under the moniker ESPO, focuses on the language of signs, typography, and the visual clutter of our everyday. His work riffs off our emoticon-driven culture, and his lyrical witticisms capture our collective unease with the rapidity—and often vapidity—of instantaneous communication. Powers reminds us of the importance of human connection, the inevitability of time, and the way we craft and recraft our own personal narratives.